I was telling a relative of mine about the one dozen different species of birds that nest in my garden (and it’s a one-kanal house) and at any given time the song of twice as many species. He, a retired judge of the superior court, living in Judicial Colony near Thokar Niaz Beg was surprised that there was a total absence of birdsong in their area. I told him that the birds were missing entirely because of the absence of indigenous species of trees in the locality. The entire colony is choc-a-bloc with all sorts of exotic trees. There is not a single peepul, neem, amaltas, to name only a few. Ornithologists tell us that Lahore was home to no fewer than a hundred and seventy different species of birds until the mid-seventies. In the latter part of that decade, flight and cabin crews of the national carrier began to flood this unfortunate land with all sorts of ornamental shrubs and trees from the Far East. Ignorant and foolish, these people only had their eye on the huge profits to be gleaned from the sale of this contraband. That was also the time of the establishment of such residential areas as Iqbal Town and sundry other ‘societies’ in south Lahore as well as of Defense Housing Authority. Vast tracts of real and ancient forest were cleared; roads and housing came up and with them a new forest of shrubs and araucaria – this import being the most popular in those days. Not that this was the first alien invasion. We had earlier seen the clearing of indigenous trees to plant the Australian water-guzzling eucalyptus and the pretty alstonia. Mark: birds were singularly repelled by both species. However, over the decades, crows and pied mynas (the latter very rarely) have taken to nesting in eucalyptus mainly for want of any other species. But very strangely, I have never ever seen any specie of bird nesting or even roosting in alstonia. The result was that our birds began to leave Lahore for forest and scrub outside the city. The disease of preferring exotic tree species over our own was matched by yet another sickness: the preference for ornamental shrubbery in place of real trees. 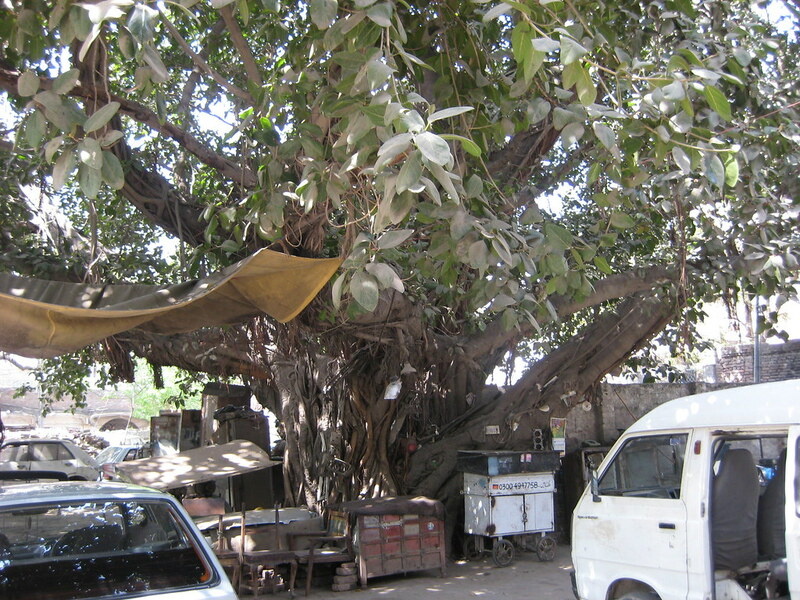 One example that I know of is the Anjuman e Himayat e Islam premises in Lahore that was home to many magnificent hundred year-old trees. In the 1980s or shortly after, they were all chopped down by one very, very foolish man and replaced by shrubbery. Thousands of birds that thrived on those trees in the heart of smoggy Lahore were banished and part of the lungs of the city destroyed. Roads in all the new residential societies were planted with either eucalyptus or alstonia; houses only with some little shrubbery. The 21st century rolled around and we discovered some more useless species to replace our own. This was the age of ficus and ashoka. Today, every new road is adorned with these absolutely worthless trees. To anyone who understood ecology, this was the making of a disaster. But importers of these exotic species were only concerned with the profits to be had. Having spoken to at least three importers, I have learned that they have not even the faintest clue of ecology. The Forest Department nursery on Ravi Road stocks indigenous plants and sells saplings for one rupee a piece. Twice, the officer in charge, seeing my concern for the loss of our trees, even refused to take any money for the few dozen trees I obtained. Yet the average person will not go there. Instead he will blight his home with ficus. One importer of exotic species with connections to the ruling party in Punjab has meanwhile become a billionaire selling exotic species. His links permitting him free run with the Parks and Horticulture Authority gives him room to sell exotic shrubbery and miniature palm trees for a preposterous six-figure price. Damn the ecology of Lahore. Lucre is the God and birdsong can go to hell. We have seen example of these pricey plants in the green spaces leading up to the Saggian Bridge from the Ring Road in north Lahore. The Ring Road in the south and near the airport is similarly blighted. Indeed that vast over a hundred acres of open space in front of the airport is a sad, arid and shadeless desert contaminated with the rubbish of imported shrubbery. And now recently we were told that the government had uprooted five hundred and some trees to widen the canal road. In the stead of these lost trees, we are being promised ten times more. I assure you that as surely as night follows day and as surely as we have been blighted by a lack of foresight and understanding over the past six decades, we are going to have five thousand imported trees along the canal. This will nicely put the politically-connected importer of exotic rubbish up by Rs 500 million and Lahore the poorer for birdsong. The sad thing is that PHA is run by general duty bureaucrats who have no clue of ecology. In any case, a bureaucrat is hand maiden to the political master and what the master says goes. Consequently, bureaucratic ineptitude and sycophantic compliance are killing the birds and turning Lahore into a green desert. While landing at Sweden’s Arlanda airport, some 30 minutes outside its capital Stockholm, one can be forgiven for wondering where all the people are. 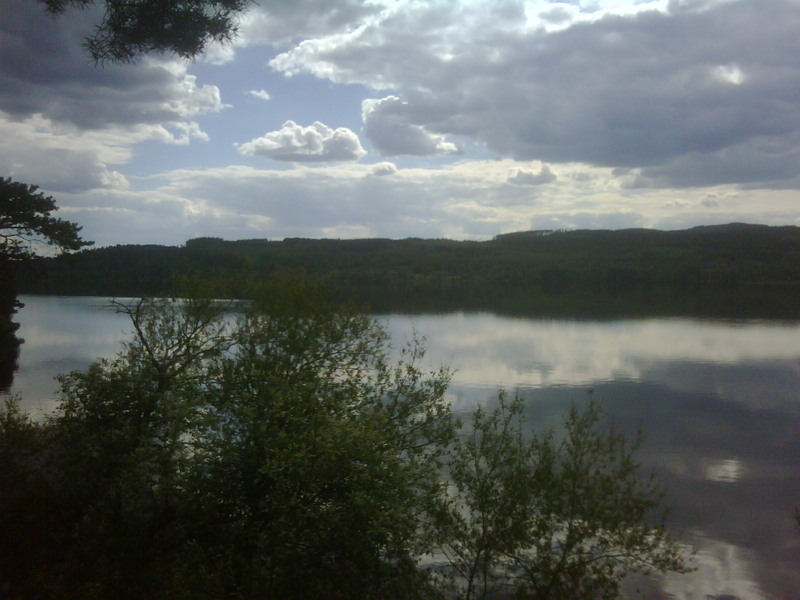 Coming from Pakistan, where rare is the moment one’s line of sight is not interrupted by another human being, Sweden appears to uninitiated as unpopulated; a vast swathe of pristine forest dotted every now and then with a cottage and the odd lake. The presence of nature is all encompassing – there’s forest everywhere and can’t be ignored – and is one of the reasons Swedes have a deep connection with their environment. But one would be quite mistaken to think, what with nearly eight months of darkness in the winter, Sweden is a land where nothing goes on. Not so. Swedes and Sweden are everywhere. You just have look a little harder. It’s time for the October Critical Mass Lahore!!! This Critical Mass cycling event ill see us prowling the innards of Lahore where riding a bike offers the chance to sample more of Walled City life without picking a tab. The last Sunday of the month is approaching. You know this means it’s time for Critical Mass. Join us at 10am this Sunday 22 February for Lahore’s 3rd Critical Mass cycling event. Cyclists in China coined the term Critical Mass to describe the phenomenon that takes place when cyclists can take over streets and traffic dominated by automobiles. Critical Mass now takes place in over 200 cities around the world. 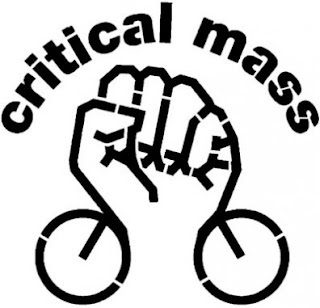 Critical Mass is not an organization. It is an idea. Critical Mass is about having clean cities that provide mobility and accessibility. Critical Mass is about clean transport. Critical Mass is about showing a man on a cycle is the same as a man in a ten lac car. Critical Mass is about democracy. Critical Mass is about having the right to mobility. Everyone in Lahore knows how bad the traffic is. Critical Mass Lahore is the first step in taking our streets back. Critical Mass is an idea. Make it yours. Nothing but a road-worthy cycle and an sense of fun. Where and how else to Critical Mass Events take place? Critical Mass events are typically held on the last Friday of each month in cities all over the world. Get more information at http://www.critical-mass.info. For information about Critical Mass Lahore, some to Zakir Tikka at 10am on Sunday 22 February 2009. This summer I was the lucky recipient of a very special birthday gift: a charter flight over Lahore. I recommend the experience to everyone, more so now, given the tale that is to tell. While approaching the Walton Airport runway – Walton is Lahore’s original airstrip and is the home of the erstwhile Lahore Flying Club (est. 1930) – and about where our tiny single-propeller Cessna, the Suzuki Alto of the air, crossed Ferozepur Road, I noticed a very large ditch almost directly under the flight path. Source (ANI): Thousand of families who used to earn their bread by plying tongas in Lahore are on the brink of starvation, as, after the ban imposed by the Pakistan government, only a few ply on the a selected roads. I have been having these vivid dreams. Places and conversations continued from Lahore. Waking up every morning is quite a disorienting experience. The landscapes are stuck, the tape paused. I guess it can all be ascribed to jet lag or to this rather unmoored feeling that envelopes me. Whatever the case may be, I find myself existing, still, in Lahore. Lahore is an imperial city and often, an impersonal city. It is aloof to most visitors and residents. It breathes around you, moving at a hectic pace here and just somnambulant there. But it has never seemed distant to me or impersonal. I have memories imprinted on almost every nook and cranny of that city of rooftops and minarets. This is Lahore. But, no. That isn’t really Lahore. Those rooftops and minarets are but a blink of an eye in the history of this city. It will forget them soon enough. No, Lahore is much more organic. An interesting article by a writer from Bahawalpur, another jewel of the Punjab province, on his impressions of Lahore. A few excerpts …. During my recent visit to this mega-city, I have collected some impressions. The first and foremost is that Lahore has expanded too much. It is such a large city that one cannot be sure where it begins and where it ends. It has so many facilities, but its problems are also gigantic. 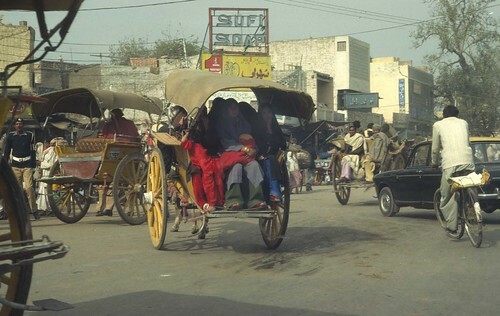 The suburb of Lahore is as underdeveloped as many areas of Punjab. A little rain could make life miserable. It is what I had seen when I was returning to Bahawalpur. 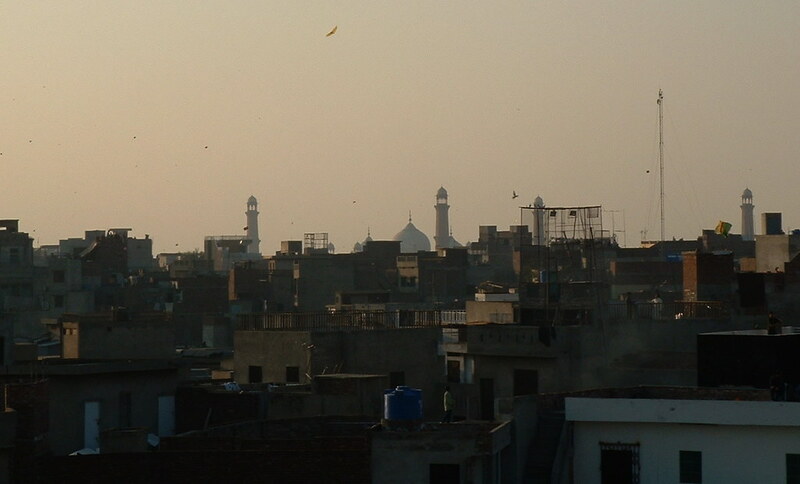 It was daytime and I could see a glimpse of the towns of my own region in the suburb of Lahore. The industrial units were surrounded by filth. Poverty was flourishing under the shadows of skyscrapers. “Lahore has the potential to even grow more if it just takes care of itself. It should not expand further and contain itself to certain limits. It should also think about getting smart and slim, if possible,” I thought loudly when the bus was crossing over the Sutlej River. By that time night had fallen. There was some water in the river, but I cannot tell exactly whether it was polluted or clean.